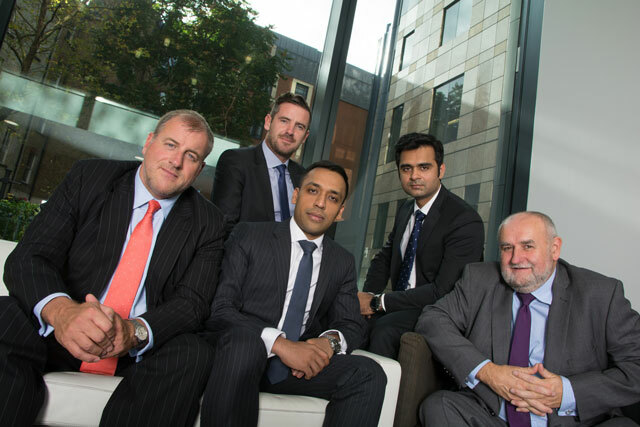 The five (pictured below) are Paul Walker, Amit Jaju, Andrew Pimlott, Muthmainur Rahman and Brian Stuart, each of whom has long experience in leading large, complex cross-border matters including compliance, remediation, regulatory, disputes and financial crime matters. I know two of them, Paul Walker and Brian Stuart (at left and right in the picture), both of whom joined from EY. This is a seriously significant team. FTI Consulting is already one of the most highly-regarded players in this growing and important market, and this number of appointments at this senior level can only enhance that reputation. The press release about these appointments is here. This entry was posted in Cross-border eDiscovery, Discovery, eDisclosure, eDiscovery, Electronic disclosure, FTI Consulting, FTI Technology and tagged Brian Stuart, Paul Walker. Bookmark the permalink.